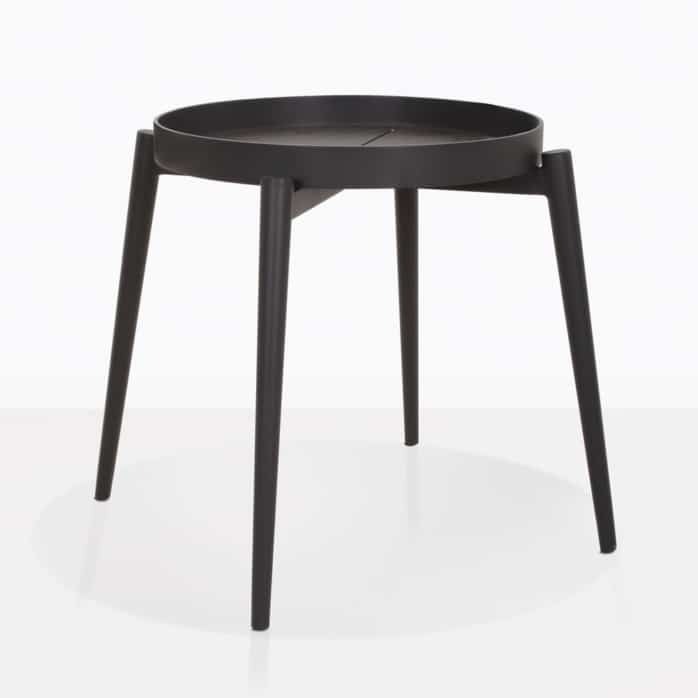 Enjoy the utter elegance of the contemporary, unique Moon Tray Side Table, fresh from Design Warehouse. 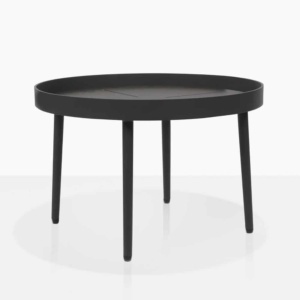 A tremendous design using simple principles, the Moon Side Table, creates a look that is urban, chic and exciting, boasting quality and excellence as some of its many traits. The astonishing design presents enterprise through its rounded table top, decorated with geometric patterning and accented with unique stiletto legs, that blend the styles of old with new, slick materials. The Moon Tray Side Table is the perfect choice to double up on and have at either end of your magnificent 3-seater sofa. Enjoy the ease of having your drinks and nibbles at arms reach – perfect for entertaining, or simply relaxing on a lazy afternoon! The fabulous Side Table is also a great piece for indoor use – reimagine a minimalist bedroom with this as your bedside table. Or perhaps in the sitting room, hosting a lamp or lovely plant… there are many options for an impressive style such as the Moon Side! Also in the wonderful Moon style is a Coffee Table so you can make the most of a cohesive and attractive setting by pairing these amazing pieces up with the deep seating of your dreams! At Design Warehouse, we are proud of our amazing range of furniture that while all being made for outdoor use, also have luxury and style at the forefront of the design selection process. This fabulous Moon Side Table is no different. 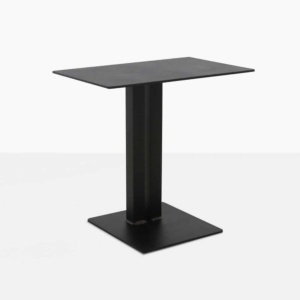 Made from dashing and sophisticated black matte powder coated aluminium, the Moon Table is striking and impressive. Though it looks the part for an urban retreat, it also requires little maintenance and performs exceptionally well in the great outdoors. So prepare yourself for modern magnificence in your outdoor area, and purchase one of the darling Moon Tray Side Tables today!